Dr. S. Girish Kumar has obtained his M.Sc. 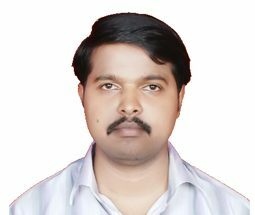 and Ph.D. degrees from Bangalore University, Bangalore and has done post-doctoral studies (D. S. Kothari Post-Doctoral Fellowship) under the supervision of Prof. K. S. R. Koteswara Rao at Department of Physics, Indian Institute of Science, Bangalore. He has also served as Instructor for Undergraduate Research Programme (Chemistry Discipline) in Indian Institute of Science, Bangalore. He has published more than 35 research articles, which have received > 2800 citations with an h-index 21. He has also reviewed ~500 research articles across the spectrum of journals.